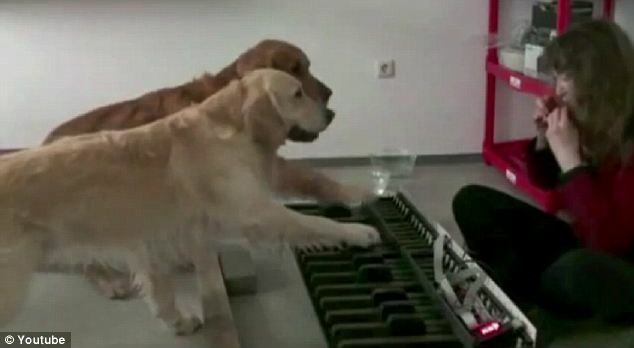 Two golden retrievers prove that dogs are clever animals by learning how to play a duet on the piano and a video of their performance became viral on YouTube with over 147,000 hits in three days. The musical dogs enthusiastically play The Flea Waltz on an over-sized keyboard. The duetting dogs aren’t quite clever enough to play the piece on their own, though. The golden retrievers’ owner plays an ocarina to guide them to the correct notes. The Flea Waltz is a simple piano piece played all over the world – though its composer is unknown. International Pop Music Festival Crystal Star begins online registration!